Cana of Galilee was a village within walking distance of Nazareth. When Jesus and his family attended the wedding at Cana – where Jesus preformed his first recorded miracle – the water for ritual washing would have been stored in stone jars before being miraculously turned into wine. Traditionally, ever since the purchase of property here in 1641 by Franciscan monks, the site of Biblical Cana has been identified as the hill top village of Kafr Kana, about 3 miles / 5km north east of Nazareth. Today, visitors to Kafr Kana are welcome at the Franciscan Shrine of Cana that commemorates Jesus’s first miracle and the sanctity of Christian marriage. 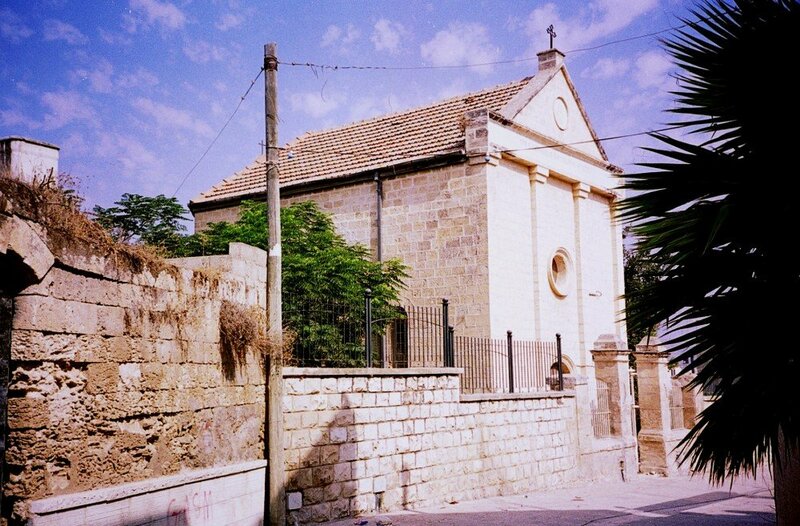 Also in the village of Kafr Kana is St Bartholomew’s Chapel, which commemorates the home of Nathanael (Bartholomew) “from Cana in Galilee” (John 21:2). Archaeological and historical evidence, however, identifies the site of Biblical Cana (the ‘place of reeds’) as the uninhabited mound at Khirbet Kana (meaning ‘ruins of Cana’), about 5 miles / 8 km north of Kafr Kana on a hillside overlooking the Bet Netufa valley. (The marshy valley floor here would have been filled with reeds in Jesus’s day). Excavations at Khirbet Kana have revealed Roman and Byzantine pottery, underground cisterns to store rain water, a cross carved inside a cave, and other evidence that the first century village on this site became an early Christian pilgrimage site commemorating Jesus’s first miracle at Cana. Theodosius, writing in 530AD, reported that it was five miles from Diocaesarea to Cana of Galilee. Dioceasarea was an earlier name for Sepphoris, and this description fits the location of Khirbet Kana precisely. This location is confirmed on two Florentine maps dating from the 12th and 13th centuries. These place Sepphoris between Cana and Nazareth. 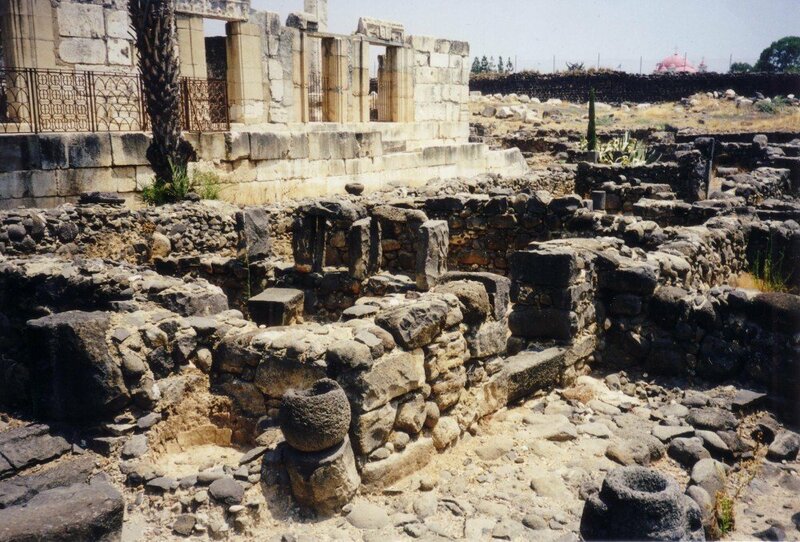 Jesus made Capernaum his base from the autumn of 27AD. He preached here, and performed many healing miracles – including the healing of Simon’s mother-in-law from a fever. Capernaum is situated at the foot of the Galilean Hills, where hot springs rich in minerals, bring naturally warm water to the surface. The town is situated on the shore of the Sea of Galilee in the Jordan Valley and lies at about 700 feet / 200 metres below sea level. 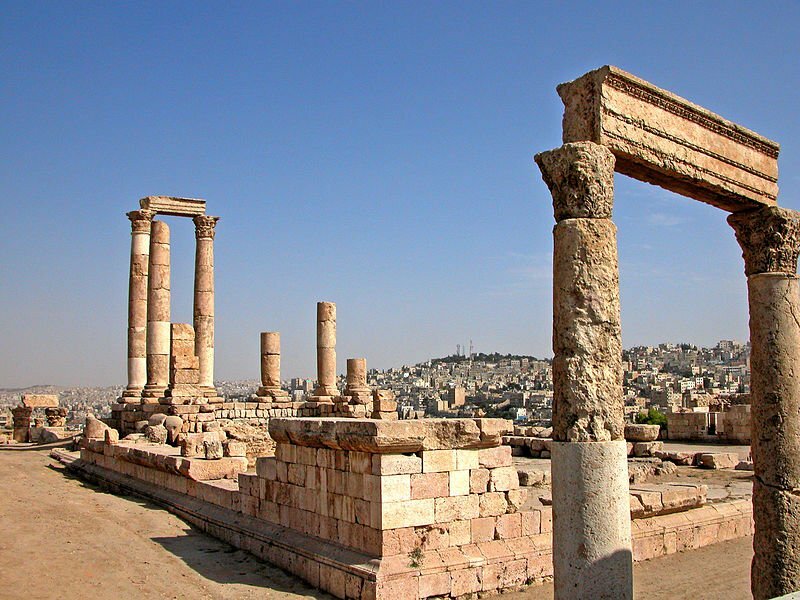 As a result, the climate is much warmer than in Jerusalem or on the Judaean Hills, and it would have been pleasant for crowds to sit outside in the sunshine listening to Jesus – even during the autumn and winter. Jesus – significantly – spent his time in Galilee during the winters of the first three years of his ministry (26-28AD).